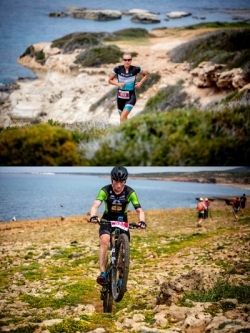 Filippo Rinaldi from Italy and Carina Wasle from Austria captured the third annual XTERRA Cyprus off-road triathlon elite titles with winning times of 2:39:20 and 3:10:22, respectively, on opening day for the XTERRA European Tour last weekend (Sunday, April 7, 2019). It's the first XTERRA World Tour win for Rinaldi and the 22nd in the illustrious 15-year career for Wasle, the reigning XTERRA European Tour Champion, who won her first XTERRA race back in 2005. In the men's race Rinadli, who had a pair of top 5 performances last year at XTERRA Garda and Scanno, was in the first group of athletes after the swim then blistered the first climb on the bike and rode away from the entire field. At the midway point of the bike in just his third-ever XTERRA, he had four minutes on Xavier Dafflon and Geert Lauryssen and held that gap thru the run and into the finish line. "Really happy to get this win today," said Rinaldi. "I knew Dafflon was the strongest athlete out here today, he is a really fast mountain biker, so I pushed hard on the bike so he wouldn't catch me. I was pleased to have some time coming out of the bike-to-run transition and get this win today. It's my first time to Cyprus and this place is awesome, the water and the cliffs, it's the perfect location for an XTERRA." Dafflon, who is indeed one of the premier mountain bikers in the sport, was happy with his season-opening performance after a cold winter of training in Switzerland. "I'm an old man, I didn't remember how tough XTERRA is," joked Dafflon after the race. "Rinaldi was too far ahead, he was in front all day. Still, this is my first time in Cyprus and it's a good start to the season, I think this result means I trained quite well this winter. And it's nice to be here, the weather is wonderful, it's good to be in short sleeves." Lauryssen finished 27-seconds behind Dafflon in third, his second-career XTERRA podium finish. He finished in third-place at his home country race, XTERRA Belgium, last year. "Very happy, I didn't expect this today because I had a bad winter with some injuries," said Lauryssen. "I like this course, it's nice and rocky like Malta, and the run was flat but tough." Jens Nielsen from Denmark, one of Europe's rising stars at 21-years-old, edged Dominik Wychera of Austria by 16-seconds for fourth-place, and 14 elite men representing 13 different countries collected the first points of the 2019 season. New this year, elites count their best eight scores of 14 events to determine Tour champs. (Find complete details at xterraplanet.com). In the women's race Wasle was second out of the water, passed Nicole Walters on the first climb on the bike, and never looked back. "I can't believe I won today. I caught Nicole on the first technical downhill on the bike, then I had the lead until the finish, but on the run I was worried the other girls would catch me," said Wasle, who was third at the XTERRA Asia-Pacific Championship race in Taiwan just one-week ago. "I had a very good race, and there couldn't be a better way to start the European Season than with a win on this beautiful island. The water is crystal clear here and it's so green. 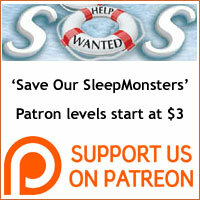 I think this would be a fabulous place to train." Last year Wasle had 15 podium finishes and four wins in 16 races, and the most well-traveled elite in XTERRA started this year with two podium finishes and a win. In the chase for second, Italian Cross Tri Champ Eleonora Peroncini caught Nicole Walters from Great Britain three kilometers into the run course. Walters stayed with her until the 7K mark before Peroncini pulled away and ultimately crossed the line one-minute ahead. "The race was very beautiful and very difficult," said Peroncini. "I'm so happy for the first race of the season to perform this well. It's fantastic." Walters, who has been dealing with injuries, a cold, and a lot of travel of late, must feel good about finished just a little over two minutes behind Wasle and ahead of XTERRA European Champion Brigitta Poor who finished fourth. "I had a good race today, and pleased to make it around in one piece," said Walters. "Peroncini is a good runner, and when she took off at the 7K mark I just couldn't go with her." Poor was happy with fourth and just to get back to racing after a long off-season, and Matilde Bolzan from Italy was impressive in fifth considering it was her first XTERRA and her first race as an elite. "This Italian team of XTERRA racers are amazing," said XTERRA Europe director Nicolas Lebrun. "XTERRA in Italy is growing strong, with lots of examples from this race and last year with Marcello, Sandra, Fognini. I think with two races in the country last year and three this year with the addition of the long-distance race in Sicily, we are developing a strong XTERRA community in Italy." XTERRA Cyprus was the first of 14 races on the 2019 XTERRA European Tour, offering up $7,500 USD and 75-point scale scoring towards elite and amateur Tour standings, plus 26 qualifying spots for age groupers vying to race at XTERRA Worlds.